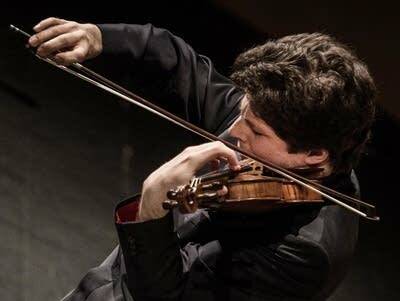 It's a brooding masterpiece from the Soviet era - Augustin Hadelich teams up with the Nashville Symphony for a performance of Shostakovich's Violin Concerto. : Symphony No. 3, "Scottish"
Nina C. of Minneapolis, MN. won this week's Encore Contest by correctly identifying the Andante from J. S. Bach's Violin Sonata No. 2, BWV 1003.